↑ BirdLife International (2012). "Falco peregrinus". IUCN Red List of Threatened Species. 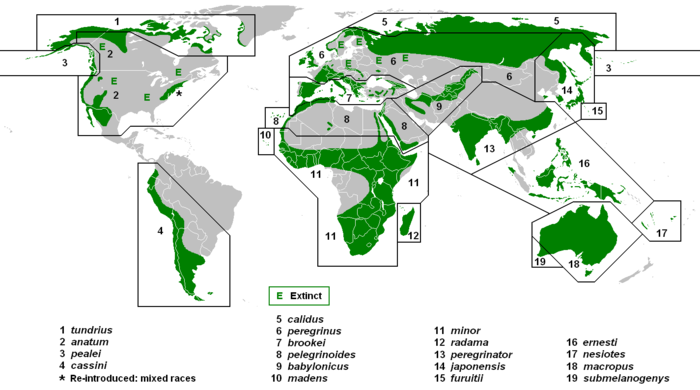 Version 2012.1. International Union for Conservation of Nature. สืบค้นเมื่อ 16 July 2012. ↑ Ferguson-Lees, James; Christie, David (2005). Raptors of the World: A Field Guide (Helm Field Guides) . Christopher Helm Publishers Ltd. ISBN 0713669578. หน้านี้แก้ไขล่าสุดเมื่อวันที่ 15 กันยายน 2561 เวลา 22:56 น.